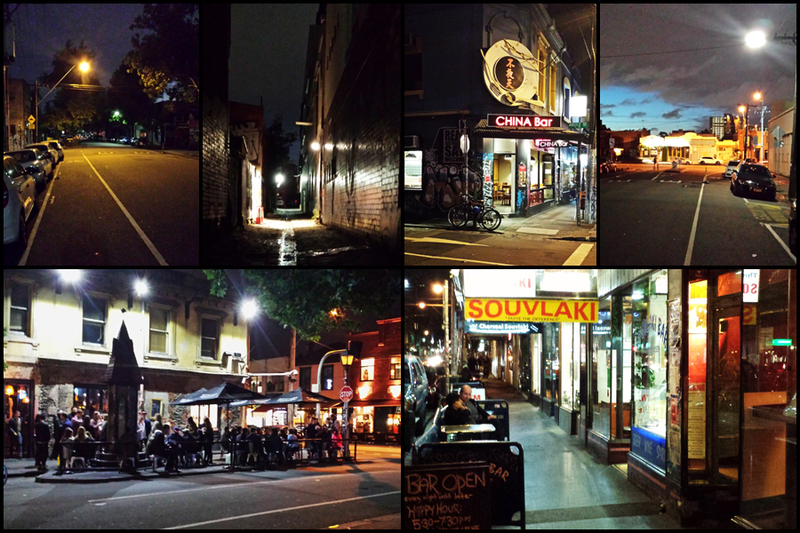 Here’s the snaps I took of night time Fitzroy a few weeks ago. I was coming home from the airport after running chair chi workshops interstate and Sue and I decided to grab a bite to eat in Fitzroy. The photos were taken on my mobile phone in Kerr and Brunswick Streets. The photos in Kerr Street look well lit up but it’s actually very dark – just like it was in the 1960s at night time.